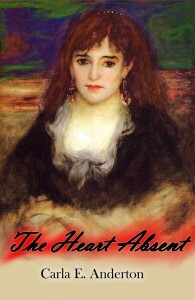 You may have noticed it’s been a few days since I’ve attempted to cajole anyone into buying my book, The Heart Absent, which was released April 10, 2013 and is available on Kindle, Nook and Kobo. Truth be told, there’s probably only so many times I can get away with asking nicely before you guys tire of that particular song and dance and ask if I know any other tunes. Today, however, I’d like to talk about a subject nearer and dearer to The Heart Absent. While you may know “Jack the Ripper” figures largely in the novel, did you know I’ve spent the last decade studying the Whitechapel murders and that I remain fascinated by the same? Another New Libri author, Debra Borys, was kind enough to host me on her site last week as well, where I shed a little light on the subject of how I sleep at night with so much darkness crowding my psyche. In the coming month, I’ll be visiting other authors’ sites, talking about why I LOVE to write about bad, bad boys and sharing the “true” story of another character from The Heart Absent, Mary Jane Kelly. Stay tuned for dates and locations. As the Shameless Promotion Tour rolls on, I welcome YOUR questions about Jack the Ripper, and will gladly answer them at your place or mine. In the meantime, to those of you who’ve bought and/or read The Heart Absent before or since its release – thank you, thank you, thank you – from the bottom of my very present heart.